AUSTIN, TX - When you hear the name David Leadbetter, one of, if not the first thought that comes to mind is golf-teaching genius. With clients, both past and present that are a whose who on the PGA Tour, it's almost as if Leadbetter has captured a complicated formula or technique that he imparts to his players. In reality, it's a few simple things that make up Leadbetter's philosophy and have led to his success and that of his clients/students. The main premise of his philosophy focuses on the basic fundamentals of the swing and include: the grip, athletic posture, the pivot, positioning of the club and body, and the natural rhythm of the individual. For starters, having a proper grip is essential. "90 percent of students have an improper grip when they first come to us," Leadbetter said. He said the grip is so important because it is the player's only link to the golf club and it positions the body relative to the ball at impact. He said one way to ensure you have the correct grip is making sure you have a strong little finger. To achieve this, he demonstrated by holding an iron with both hands over his head in a horizontal position. "Act like the club is the edge of a building and you're trying to hold on." The grip should be positioned in the fingers, not the palm of the hand. Once the grip is in order, next up is the posture. He said the most ideal posture is where the balance is placed on the balls of your feet and there is a distinct angle between the lower back and the upper thighs. "It should be very similar to a basketball player in a free-throw shooting position," he said. "You have to put yourself in an posture where you look athletic." "These first two are the easiest to correct," Leadbetter said referring to grip and posture. Not surprisingly, these two are the first fundamentals worked on when you take a lesson at the DLGA Barton Creek. The proper pivot motion is the next fundamental evaluated at the academy and it is what Leadbetter describes as "the heart of the swing." To start the swing, the club and body must work together as a unit. The chest and stomach move or rotate into the right axis or onto the right leg. He said an easy way to determine if you are making a proper pivot is to check your shirt buttons. If they are over your right leg, you are in a good position. Following the pivot is the positioning of the club and body or more specifically, assessing the sequence of positions the club and body pass through during the swing. "The goal is to synchronize the body and arms so that they arrive at the top and bottom at the same time." If the body and club are in sync with one another, it provides the best chance for the golfer to repeat that swing over time, which is a very important factor in improving your golf game. Leadbetter pointed this out as he discussed the variety of different swings on the PGA Tour from Jim Furyk to Tom Lehman. He said the one thing these golfers have in common is that their specific swing is the same every time no matter how strange it might look and they always have their body and club in good position at impact. The final step in the academy is the natural rhythm of the individual. Instead of the ‘cookie-cutter' approach taught by some instructors where one swing fits all, Leadbetter and his instructors focus on the fundamentals and how they can be successfully incorporated into the natural makeup and ability of the student. Although it sounds somewhat abstract, there are numerous innovative drills developed by Leadbetter that are tailored to the golfer's natural makeup and allow the student to gain a specific feeling that he or she can identify with and develop independently. "When it comes right down to it, we're individuals," Leadbetter said. "There are no two swings that are the same. The goal of the golfer is to be square at the ball at impact at maximum speed and down the target line. If you can understand your own tendencies and weaknesses and you have someone with a good eye to give you a blueprint, you can achieve this." That's exactly what the DLGA Barton Creek does. 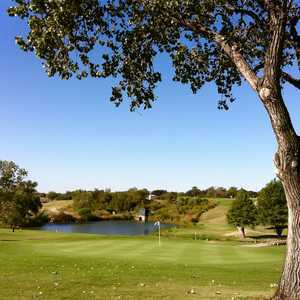 The DLGA Barton Creek, like any other recreation at the resort, is available to all members or guests. However, one of the main focuses of the DLGA will be its junior program. With young guns on the PGA Tour to his credit such as Charles Howell III and Ty Tryon, Leadbetter said he believes Austin and Texas can serve as breeding ground for future stars and there isn't a better place to start that training than at the DLGA Barton Creek. 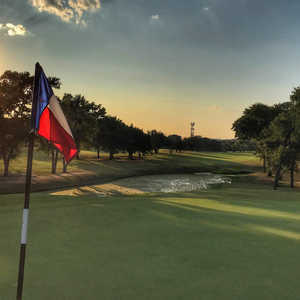 Each summer, to draw those potential players who want to earn a spot on the school team, earn a college scholarship, and/or those who hope to play professionally, the DLGA Barton Creek will offer five-day summer camps from June through August that run each day from 9 am to 5 pm and include lunch. The camps, which are open to players ages 8 to 18, are a combination of Leadbetter's philosophy and an academy training program. Training will emphasize technique improvement with mental and physical conditioning, practice techniques, course management sessions, as well as tournament preparation and performance. While the camp is serious and the youth are there to learn and hone their schools, the camp will also include supervised recreational activities on the golf course. Barton COO and President Michael Thomas said the juniors program will not only enhance the skills of the young players, but he believes the summer camp will provide for a more enjoyable experience on the golf course in the future. "When you get them involved with the game when they're younger, they're able to learn more quickly and get better at the game. As a result of that, they enjoy it more." While fun is definitely a part of the overall camp experience, learning and improving each player's game is very important. With an ideal student-teacher ratio of 5 to 1, students have the opportunity to maximize their learning experience. As part of the program, each student will also receive a detailed video-computer analysis, a personalized take-home videotape, and a plan of improvement. 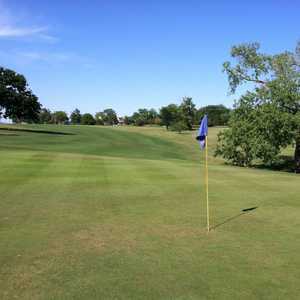 Although the DLGA Barton Creek is in its infancy and the first summer camp is yet to be held, Leadbetter has high hopes for the future juniors program. He said his academy in Florida started out humbly with just five students and today it plays host to 150 kids who are housed and essentially live and breathe golf while maintaining their academic studies. "Hopefully players throughout Texas will come to the academy. With the way it is set up, it offers juniors a chance to get top instruction while their parents can do other things at the resort or around Austin. They don't have to worry about dropping their kids off and leaving. They can make a family trip out of it."